My neighbor’s sister Jane visits from Canada a few times each year. They are both gardeners and often spend a lot of time on some kind of garden project. In fact, recently they decided to spend a day creating a clear path between our two homes – and that meant digging up plants and moving heavy paving stones. By days end, they had created a lovely pathway – for which I am very grateful. We did not have too much time to visit with Jane this time around and she is preparing to leave tomorrow to head home and so I decided that today’s pie would be for Jane – and her family in Canada. This makes it the second international pie! Jane promised me that she would place it in the back of her vehicle so that she would not be tempted to eat it before she gets home. 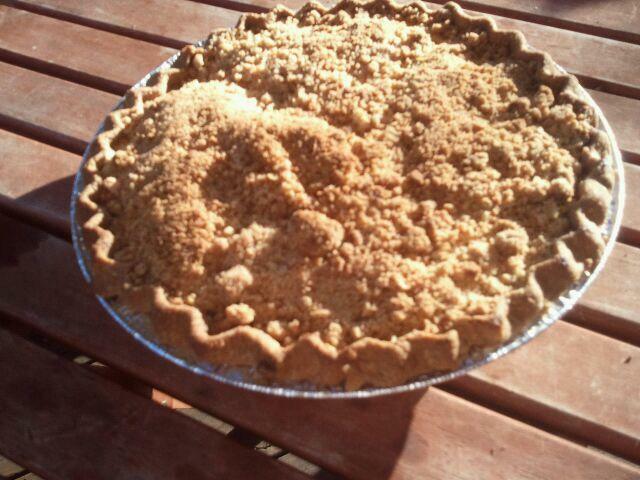 This is a photo of the pie that will accompany her to British Colombia. Tonight while shopping for apples for this pie I ran into my friend Donna. We chatted about what was going on in our lives and then she said, “You inspired me to do something.” Now of course I thought that she had decided to make a pie but that was not what she meant. Seems she was out buying local corn and decided to buy a few extra ears for her friend. However, when she got to her friend’s house, she noticed her car was not there and was turning to leave when she noticed the house where another friend used to live. That friend had long since moved away, but today there was a car in the driveway and so Donna pulled up to the house and went to the door and knocked. When the person answered she introduced herself and told the folks where she lived and then asked if they liked corn. Well, it turns out they did like corn and so Donna gave them the extra ears that she had bought. 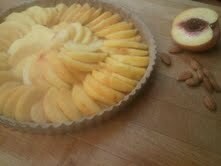 Donna said that she had been inspired to reach out to a new neighbor and to welcome them because of my pie project. I am honored that she thinks that I did something… but all I really did was to suggest what we could do. We don’t have to move mountains to make a difference … we just need to be present with each other. And Donna took that idea and made a few new friends with a couple of ears of corn. It’s as simple, and as amazing, as that. As some of you already know, I am a contest junkie. For many years I have tried to be the right caller at the right time to get that certain prize. And over the years I have scored a few absolutely wonderful prizes. Luck has something to do with it… but it takes something more. You’ve heard the joke where the woman (or man) asks week after week, “God, please help me win the lottery.” Finally a deep voice from heaven booms, “Meet me halfway… buy a ticket!” Well, I try to do my part and buy the ticket (or in this case, dial the number). Later that day I called my friend Julie and asked if she would meet me in Eugene to see Jackson Browne… and of course she said yes. It was one of the best wins ever. We saw an awesome concert and then were invited backstage to meet Jackson Browne afterwards. He had been interviewed by the Oregonian earlier in the week and he said something that bothered me; something like “people don’t get involved.” I brought the article to the “meet and greet” and told him that by saying that he had “dissed” all the people that did get involved. I suggested that he say instead “I wish more people would get involved (in good causes)” because it did not negate those who already are involved. Then I turned around and saw a line of folks waiting to speak with Mr. Browne and I immediately apologized for making them wait and they seemed to say “it’s okay” because this conversation seemed real – not just another “Please Mr. Browne autograph this guitar for our raffle.” Truly a wonderful moment. 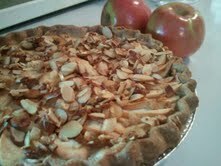 Today I brought an Apple Almond Pie to Brian and Emily, to thank them for my most recent win. These two have become more than on-air personalities – they are much more like friends. Jodi and I met about thirty years ago when I was in the tavern that her family owned. It was a lovely little place with great music, a friendly staff, and good food. One of my personal favorites was something called the “bar pie.” It was just a pizza but it was small enough to serve at the bar or at a table for two. My friends and I loved that place. What was it about this tavern that made it so special? The best answer that I can come up with is that my friends and I felt at home there. We could drink wine, eat pizza, and feed the juke box and talk all night long. It was really a great place. After Jodi and I became friends I actually worked at the tavern for a short time. It was an act of generosity on the part of her Dad because I needed experience for school but I learned then that I was definitely not cut out to be a line cook. It’s amazing to me that Jodi and I have remained friends all these years because we haven’t lived in the same city since that time. We wrote countless letters in the days before Al Gore created the internet and since that time we have sent a lot of emails. And every time I go home for a visit, I try to surprise Jodi at her restaurant – and she always makes me feel so welcome. Today is Jodi’s birthday and I am sorry to say that I did not send her a pie. 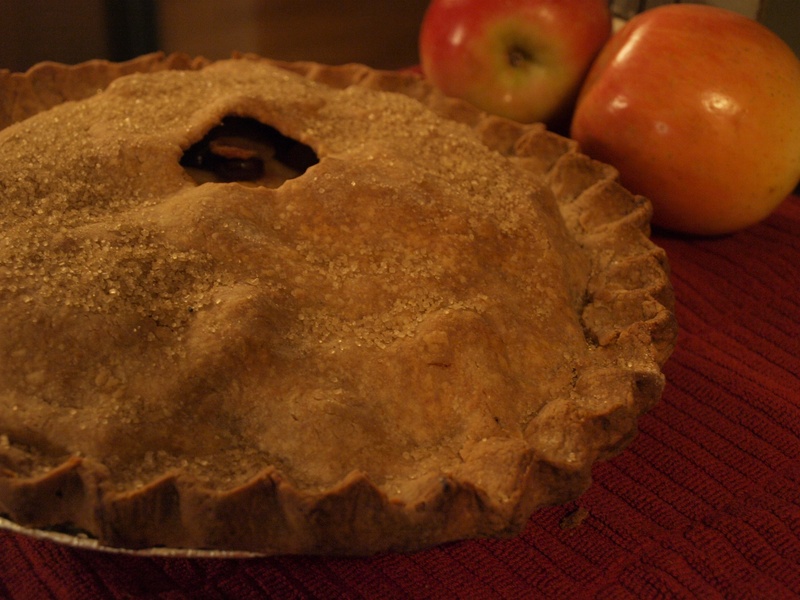 Instead I thought that I would send her a virtual pie, and that pie would have to be like Jodi – very sweet. 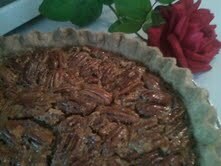 That is why this morning I decided to bake a pecan pie in Jodi’s honor because she is one of the sweetest people that I have ever met and I am so glad that we are friends. I hope that she will be happy to know that “her” Pecan Pie was given to someone who deserved a bit of sweetness in her day. 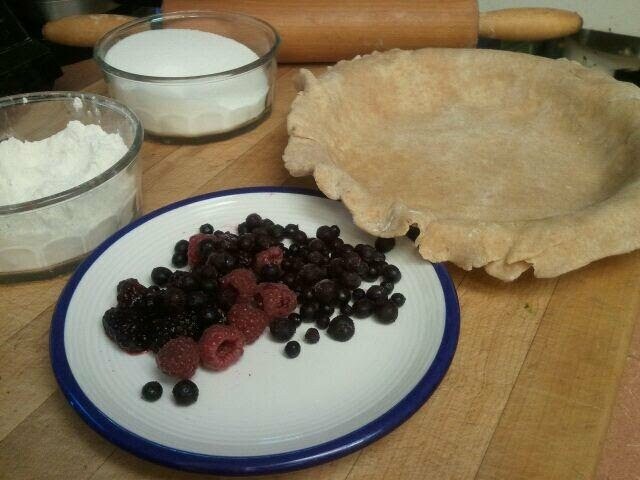 As I was preparing the berries for the pie I remembered that I had a request to bring a pie to a lady who loved berries but was gluten-free. That meant that I did not need a crust at all for this pie. 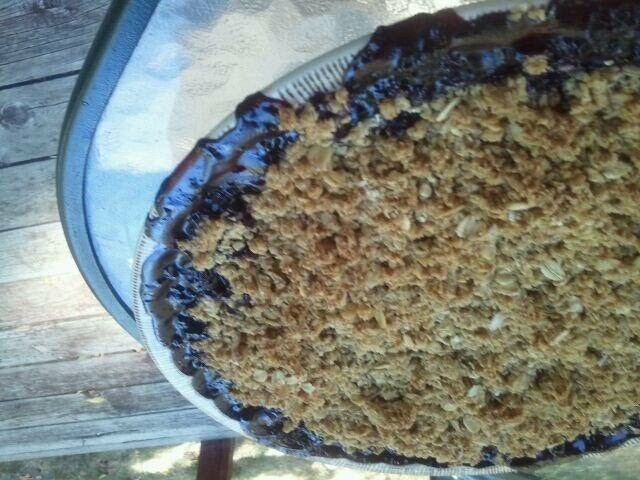 I found a glass pie dish and prepared the berries for a cobbler and made a crumb topping with gluten free oats, sugar and butter. The combination of all these ingredients as they baked created an incredible aroma in the kitchen. 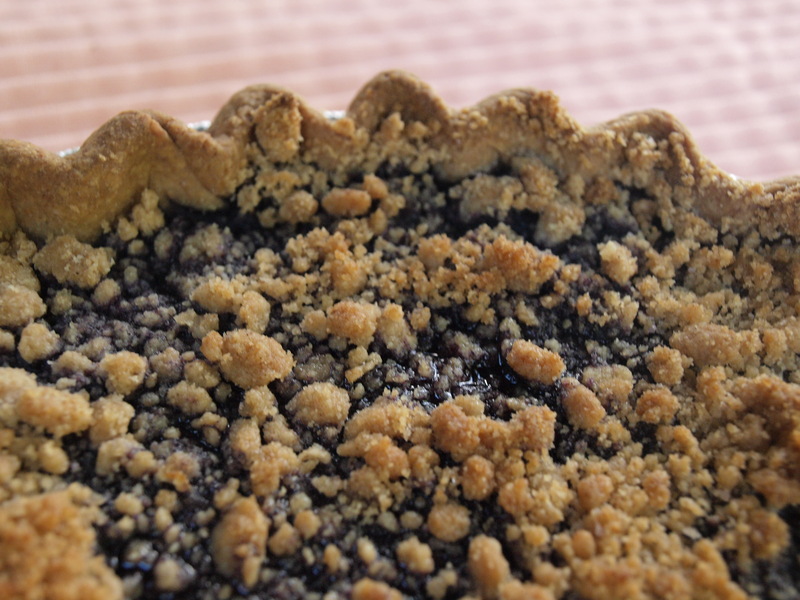 When the cobbler was baked I called the pie recipient. Since she was not at home, I left a message explaining that I had something to deliver to her and I hoped that she would call me back soon. It was less than an hour later when my call was returned. The voice on the other end of the line said “I think you must have the wrong person.” It took a moment to assure her that I had the right person after all. A short time later I delivered the three berry cobbler to Theresa, a beautiful lady who lives near Southern Oregon University. We talked about where we each had lived and I was surprised to learn that we were both born in New York – she on Manhattan, me on Staten Island. We both had lived in the bay area – she in Walnut Creek, me in San Francisco. About ten years ago, Theresa told me that spent two years in a remote village in Alaska. The total population of that village was 165. She had to put up with hardships that I can’t begin to imagine yet she felt that she was called to be there and so she adapted. One skill that she learned during that time was beading. 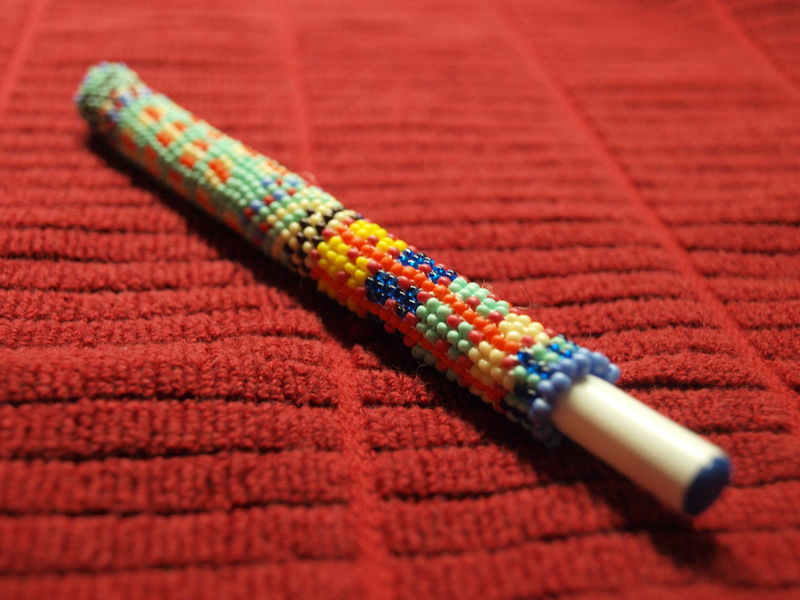 She insisted on giving me one of the beaded pen sheaths that she learned to make during those long cold winter nights. This afternoon I shared an hour with a lady I’d never met before and learned so much about her life in that time. I imagine that there are thousands of wonderful stories like this waiting to be told. Maybe all that we need to do to hear them is take the time to listen… and perhaps bake a pie :-).